Whenever we think of romantic getaways or a location for honeymoons, there are the usual suspects: Paris, the Caribbean, maybe around the Mediterranean, and then there’s Australia. Yes, Australia, with her endless stretches of pristine beaches, lush rainforests, and pretty much everything you’d want to find in a tropical paradise. Certainly, Queensland is one place in Australia that should never be overlooked as a holiday destination, and if there is one part of Queensland that is perfect for some romance, it is a quiet beachside village called Palm Cove. Palm Cove is one of those tropical hubs where you can enjoy warm weather all year round, so you can come here anytime for your honeymoon without having to worry about the weather ruining your special time with your special someone. From palm-dotted beaches with fine sand to forests with lush vegetation, there are plenty of things to discover and experience in Palm Cove. You can even get up-close and personal with wildlife unique to this region. If you’re not up for any of that, however, and just want to spend some nice time with your beloved, the tranquil beauty of Palm Cove is sure to work its magic without you even trying. 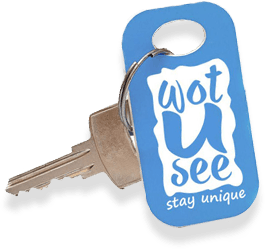 WotUSee is one name you can rely on when you need some help in planning your romantic getaway to Palm Cove. We will make sure you get to have a romantic experience of a lifetime at the most reasonable rates. Let us give you some ideas on what you can expect to experience and enjoy during your romantic sojourn in Palm Cove. Snorkeling, scuba diving, or sailing. If you are both up for some water sports, you can go snorkeling and scuba-diving, and get a firsthand glimpse of the underwater paradise around Palm Cove. If you just want to enjoy the sea without doing any strenuous activities, how about a sail into the sunset? Sunset cruises. Go on a cruise around the emerald waters of Palm Cove, and get a glimpse of the wondrous views of the Great Barrier Reef. We suggest sharing a toast on the deck as you watch the sun go down. A helicopter or hot air balloon ride. You can get the best view of the Great Barrier Reef, the blue ocean, and the natural rainforests around Palm Cove from the air. You can choose to either go on a helicopter tour or ride a hot air balloon. Either way, you're bound to have one unforgettable experience together. Enjoy dining, shopping, and entertainment. Palm Cove has a lot to offer in terms of food and shopping, and since it is close to the city of Cairns, you can spend a day or two around the city to experience the entertainment options that are on offer. There will never be a dull moment with your beloved when you come to Palm Cove for that long-awaited and well-deserved break you have both been looking forward to. While it is true that any place on earth is paradise if you’re with the person you cherish, going somewhere that is made for romance is definitely a bonus.